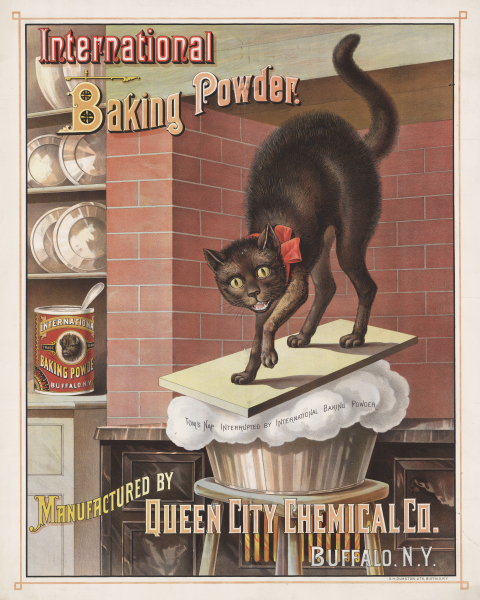 Description: International Baking Powder. 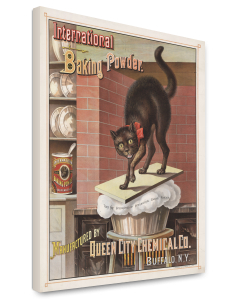 Manufactured By Queen City Chemical Co., Buffalo, New York, 1885. Advertisement for International brand baking powder, showing a cat awakened by bread rising.